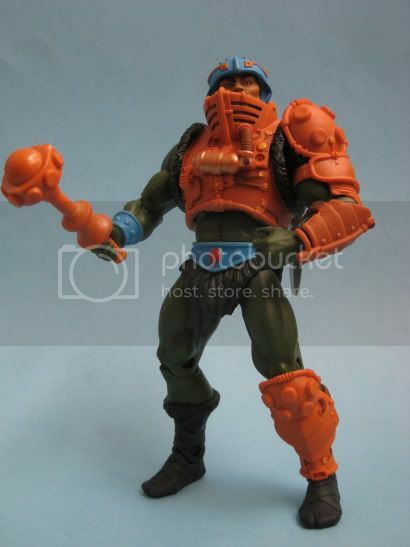 O Man-At-Arms foi daquelas figuras de MOTUC que me lembro de ver e pensar que só podia ser a melhor, isto depois de ter opinado o mesmo sobre Mer-Man e Stratos. Quando MAA saiu percebi que não tardariamos a ver as figuras dos cartões 8 Back. O mestre de armas e tecnologia vem equipadíssimo. Para alem do arsenal composto por pistola, espadas, cacete e armadura, traz ainda duas cabeças, uma de acordo com a versão original da figura, e a outra com o clássico bigode deste Master. A figura é quase uma "weapons rack". 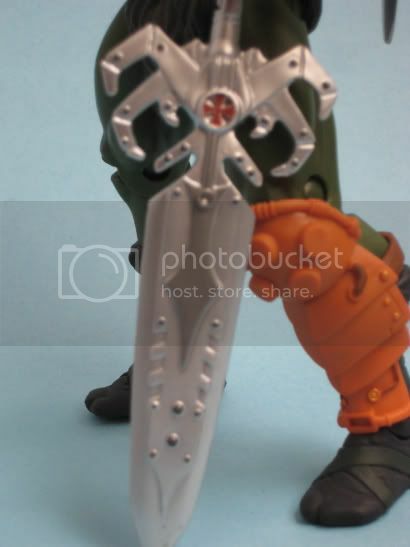 E para agrado de muitos fãs de 200x traz ainda como bónus a power-sword da série de MYP. 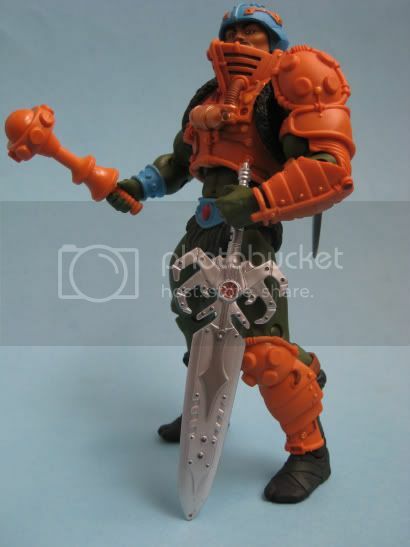 For two centuries, the Eternian weapons master and combat instructor to the royal family has been called the “Man-At-Arms®.” Trained by the renowned tactician Dekker™ and a veteran of the Great Unrest, Duncan™ was asked by King Randor™ to step into this position and fortify his guard with an elite strike force, which he named The Masters of the Universe®. 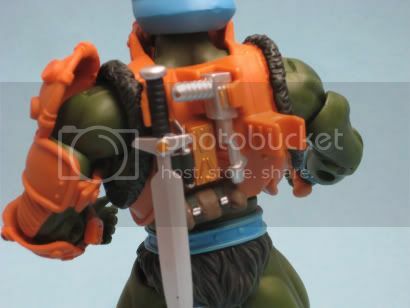 In addition to his skills in combat, Duncan™ is also a great inventor and helped construct an electronic version of the Power Sword® for Adam to use until he could unite both halves of the sword of King Grayskull™. 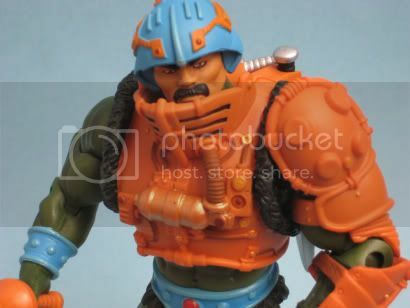 Man-At-Arms® and his adopted daughter Teela® often scout the borders of Eternia® for signs of lurking evil.